A huge shout out to my Gram and Pop Pop for going to the Emmanuel Dining Room on Sunday during our Memorial Day weekend break to bring 125 of our 3B bags to patrons of the soup kitchen. The children who were eating at the soup kitchen received books and we also had toiletry items available for many. My Pop Pop also helped to serve food from the kitchen during their visit. We’re so grateful for the Emmanuel Dining Room and the Ministry of Caring. They provide many services to those in need! I love my friends there Tony, Miss Mary and Dorine to name a few. They believe the poor should not be treated poorly and we agree! Also, did you know that June 2, 2016 is Do More 24 Day? It’s very exciting, it’s a day of giving and in this case I’m participating in Do More 24 in Delaware! This is an initiative which the United Way of Delaware and several sponsors are helping with today so that organizations who provide services to the community can all raise money together. 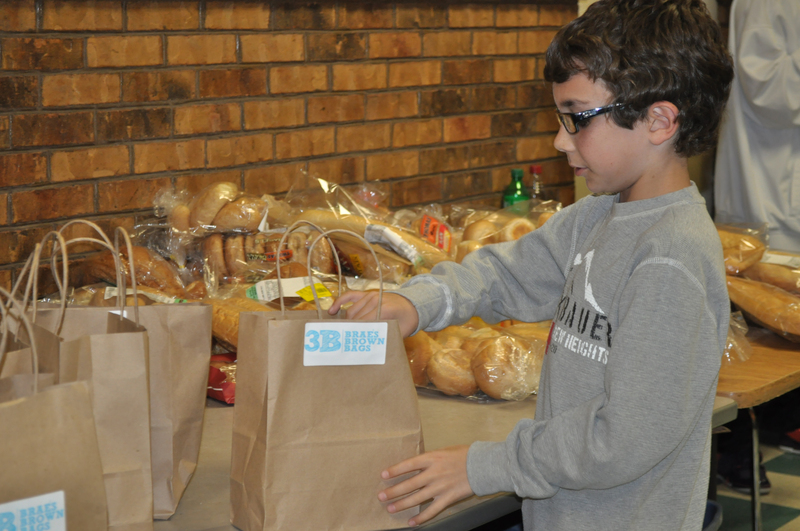 Brae’s Brown Bags is completely sustained on donations and small grants Braeden receives. Without the support of family, friends and many kind people we have met around the country we wouldn’t be able to do what we do. If you believe in our mission of increasing access to healthy food in low-income and homeless populations please consider donating today. Otherwise there are over 190 other nonprofits participating today and they are also worthy of a donation! For $24 we can provide at least 30 bags of healthy snack options which also include water. This summer we will be providing 3B bags to schools who participate in the USDA Summer Meals Program. These schools help to provide meals to students who ordinarily depend on school during the school year for the nutritional meals. Our bags are given out after someone eats a meal, they can take it to go so they have healthy snack options to eat at home. I know I promised to update more but it turns out that Summer is pretty busy. It’s a good thing to be busy though. My Mom and Gram have me doing my summer reading and I have a STEM project to complete for school. But it’s not all that type of busy it’s also fun busy, too. My family and I went to Fenwick Island beach for a week. My Grandmom and Grandpop and Aunt Kristin were there also so it was a lot of people. When we went for breakfast on our last day we needed a table for 8! We had fun and even went fishing. I had never been fishing before. I caught a flounder! My brother Finnegan caught a croaker. So I’m helping with the Summer Meals program. I also visited the Emmanuel Dining Room before leaving on vacation because I had not been there in a little while and I needed to see everyone. I saw Tony and it was good. I didn’t see Miss Mary though. We gave out 70 bags and a lot of books! I went to the Neighborhood House in Southbridge in Wilmington. I got to be part of a special event there. I had a table with my information. We let everyone take home a bag so they could give it to someone in need. I hope they found out that it is nice to give. We’re getting extra busy with the 3B Summer Celebration planning. All the decorations came in the mail. We also just found out that the Kona Snow Ice truck will be coming!!! AND AND AND We have some really cool silent auction and raffle items. If you like sports, like Blue Hens or Eagles… and if you like water parks you definitely need to come to the event. Because the things we have for people to win are super fun! I’m trying to remember everything I have been doing so I can tell you all about it. I hosted something called a Race Against Hunger for the 4th graders at Keene Elementary School in the Christina School District on Friday, April 11, 2014. One of the enrichment teachers, Mrs. Utterson, helped me with it, thank goodness for her being so supportive. My art teacher, Mr. Graham provided supplies so I could make posters with some of my friends for the race. I wish more of the grown ups at the school had helped out or come out to see us run. It really did end up being a perfect day. No rain and very warm. My Mom said she did a reverse rain dance. It worked! We’re closing fundraising for the Race Against Hunger this week but so far we have raised $500 and the money will go to Action Against Hunger USA. So one thing I forgot to talk about was that I had another bag packing event with my friends in Alpha Phi Omega at the University of Delaware. It was the same weekend as my Mom’s birthday back in March. We packed something like 300 bags! I took 100 of them home to give out and they kept the remaining bags for the upcoming 5K they are hosting to benefit Brae’s Brown Bags. Definitely sign up to race with me for 3B on Sunday, April 27th. This past Sunday my Mom and my Dad took me to the Emmanuel Dining Room and we handed out 100 bags to the people who came to eat lunch at the soup kitchen. We decided to have 10 of those bags be for kids and the kids really liked the Spring activity booklet. I got those booklets from Mrs. Christine Sweeney as a donation. Thank you! Today my 3B Facebook page went over 1,000 fans! It’s crazy! Thank you to everyone who encourages and supports me and the work I’m doing with 3B. I couldn’t do it without Y-O-U! Plus tonight Reverend Paul Mast is coming to my house to interview me for a book he is writing. He said he was impressed with what I am doing and heard about me through the 2014 Governor’s Award for Youth Service. I’ve done interviews before but never for a book! On top of the stuff I’m going with 3B I also started playing flag football at the YMCA in Bear. We haven’t done too much yet but I really like it. It’s fun to play and also fun to make new friends. 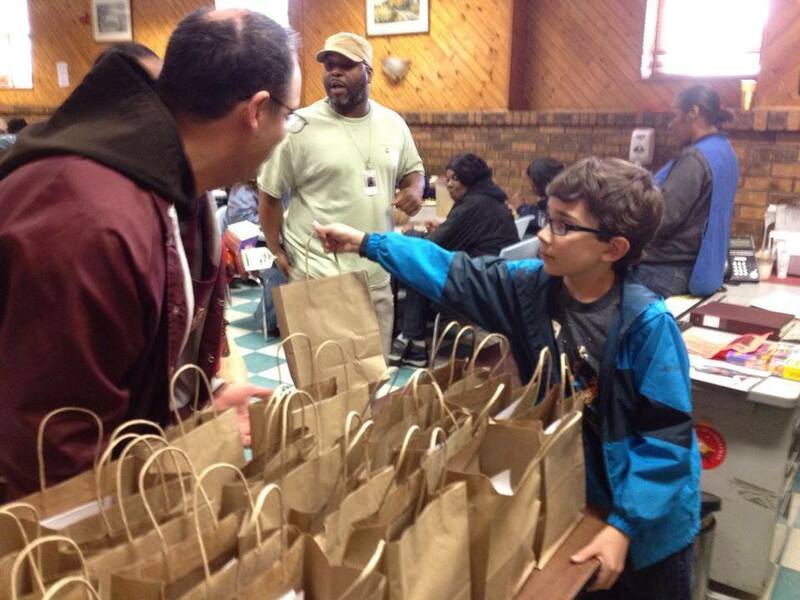 On Sunday my dad took me to the Emmanuel Dining Room so I could deliver bags. We brought 64 bags for the people who go to the soup kitchen for lunch. We had regular bags and child bags with books in them. If course they all had the healthy good and water, too. I saw one of the girls play with a little teddy bear that I included in one of the toddler aged bags. They were handed out very fast and we didn’t have enough for all of the people. Everyone was happy to see me and I was happy to be there to help out. On Sunday, February 23, 2014 I went to the Emmanuel Dining Room again. There was a lot of people and I ran out of 60 bags that I made in 15 minutes. Of the 60 bags I had packed 10 child bags, the other 50 bags were the regular 3B bag. This time the child bags had books AND some activity pads, pencils and small toys (like teddy bears and little race cars) thanks to donations we had received. There is also some very exciting news I would like to share. Today I found out my application was accepted and considered to be “one of the best” for a grant from the YSA (Youth Service America) and Sodexo Foundation. Late last year my Mom helped me apply for this grant. Today in an email I was told I will be one of the winners receiving a grant. 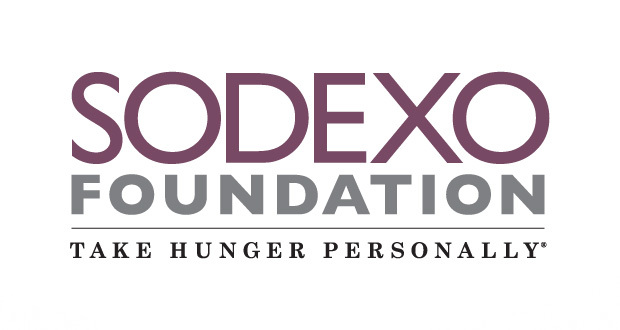 The Sodexo Foundation Youth Grants, offered funding of up to $500 for youth to lead projects focused on ending childhood hunger in their communities. It is very excited to find out that 3B Brae’s Brown Bags Foundation made the cut! Stay tuned for even more very cool news coming soon! My Mom took me and my brother Finn to the Emmanuel Dining Room yesterday. The weather has been really cold, yesterday I don’t think it even got above 30 degrees. Tomorrow there is a high of only 17 degrees and with the wind chill it will feel much colder than even that! We ran out bags really quickly yesterday at the soup kitchen. It made me sad. We ran out of bags for the kids in about five minutes. That is the fastest ever that we have ran out of bags, 52 bags in under 15 minutes. Everyone was happy to see me there and I feel good that they remember me and they like when I come to hand out bags. We put hand warmers in all of the bags. I have been told that the hand warmers are a nice addition so we will be doing that for the rest of the winter. Tomorrow my Mom and Brian are taking me to the Big Fish Grill in Glenn Mills, PA. My great grandparents, Grandpop and Grandmom Willey are coming, too and so are my Gram and Pop Pop. I will be giving a little talk about Brae’s Brown Bags. I’m excited because the manager said I could go back into the kitchen and meet the chef. They are going to be donating $5 from each meal purchased for a special event they are hosting to help fundraise for 3B. How cool is that? 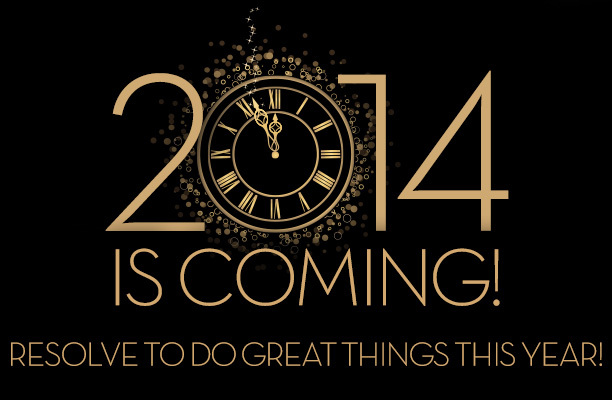 I’m excited about 2014. It’s going to be a really great year. As of right now I have handed out 558 bags to homeless and poor people. 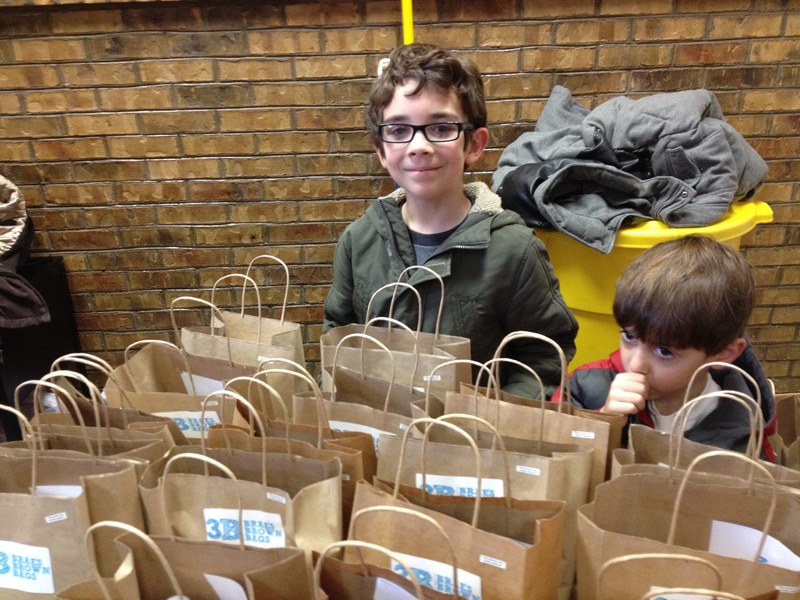 On Saturday my step Dad, Brian, and I went to the Emmanuel Dining Room and handed out 56 more Brae’s Brown Bags. We had 8 children’s bags with books to hand out and it ended up being just enough this time. Some of the bags also had scarves and gloves for the adults. 2014 will hold big things for Brae’s Brown Bags. 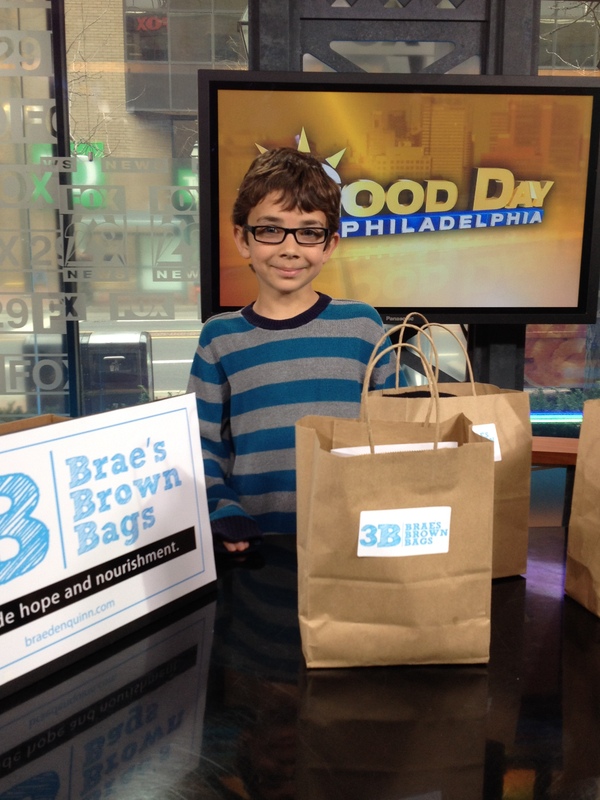 One thing is that it will now be 3B: Brae’s Brown Bags Foundation. We have our very own federal ID number now and soon will be an official 501(3)c which I don’t really know what that means but my Mom has been working very hard on that part of the project. The form she sent into the IRS was very long and it ended up costing a lot of money. But hopefully this will help us to get more funding and sponsors so we can really get 3B to become even better. So to all of you, a very Happy New Year! Remember sometimes all you need to do to help someone in need is to lend them a hand and a smile. So I was a little bit nervous leading up to the time I was going to be on Good Day Philadelphia, but once I was there and set up I felt better. This time I talked to Mike Jerrick @MikeFOX29 and to Sheinelle Jones @SheinelleFox29 and they were both very nice. I had a lot of fun. My Mom says they let me talk for awhile but to me it felt like it went by so fast. I was able to show them all the different bags I have made which includes the regular healthy snack bag, the kid’s bag with a book, the winter bag with warm clothes and the work force bag which has toiletry items. I told them all about how I have given bags to the Emmanuel Dining Room patrons and to the Christina School District. I let them know that the UD chapter of Alpha Phi Omega has been very helpful. So while we were there my Mom took pictures for Facebook and posted them using her phone. But when I got home and was able to put something on Facebook and Twitter there were so many people already commenting! We even received donations through the Facebook page. And my Mom got an email from a man named Mr. Harkin who has a store called Princess Gifts in Philadelphia and he has 200 books to donate to my project. It makes me feel so happy to know people want to help 3B grow! Thank you to everyone and many, many thank yous to Fox 29 and the Good Day Philadelphia team!